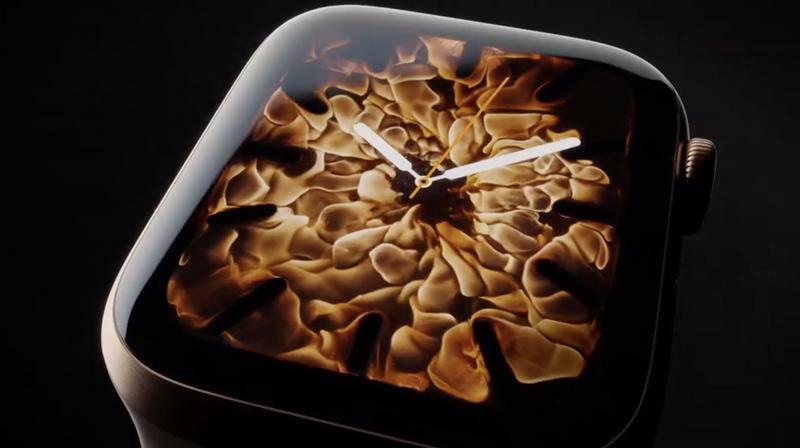 At its iPhone event on Wednesday, Apple also introduced a brand new Apple Watch. 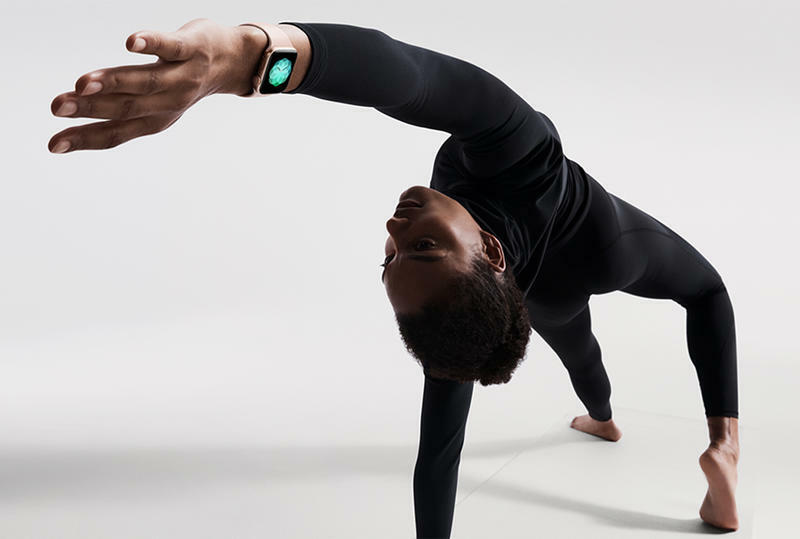 And it isn’t an ordinary upgrade, with a particular focus on what the wearable can do as a health companion. 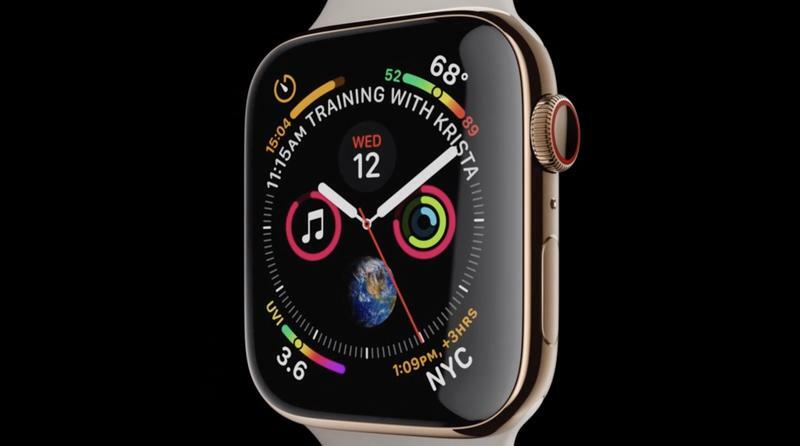 First and foremost, the Apple Watch Series 4 features a more expansive screen. It isn’t quite edge-to-edge, but it’s an improvement over previous models. 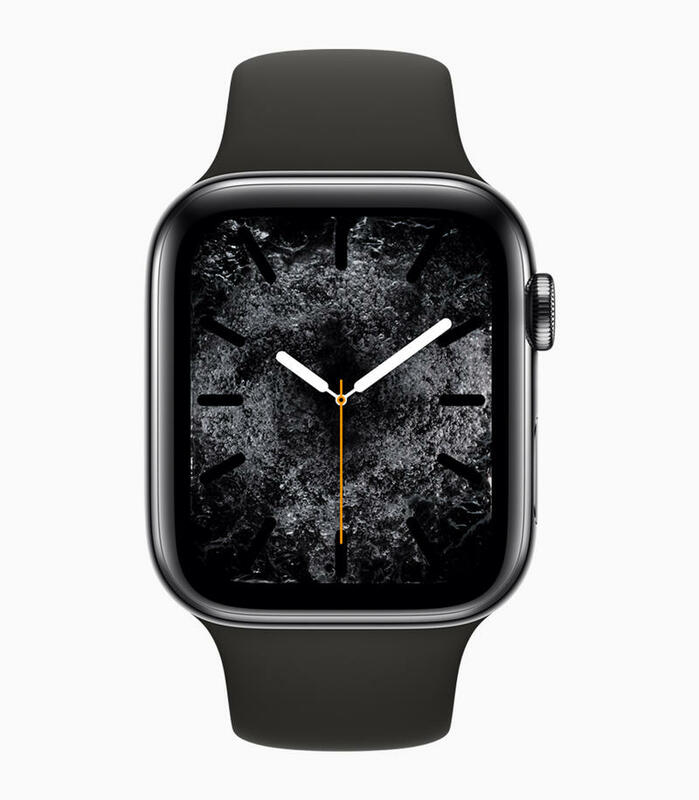 Point of fact, the Series 4 is an improvement over previous models all around, including performance and health tracking. 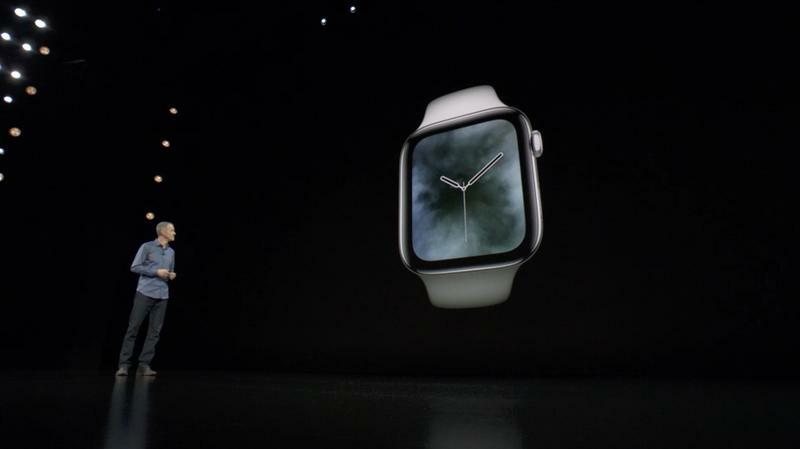 It also feels a little more comfortable to wear, with a slightly thinner build. 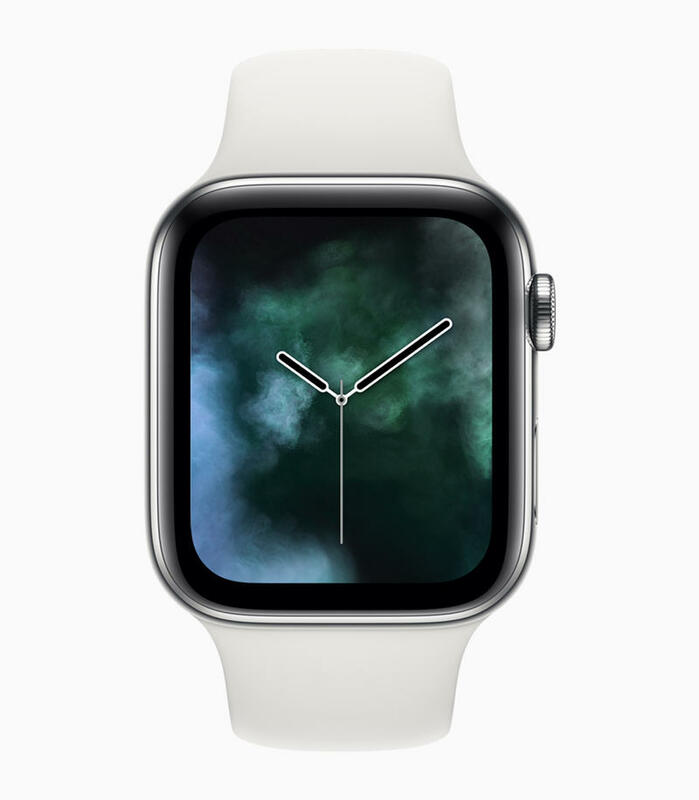 The displays corners have also been rounded, making the device appear more like a traditional watch (though it’s still square-ish). 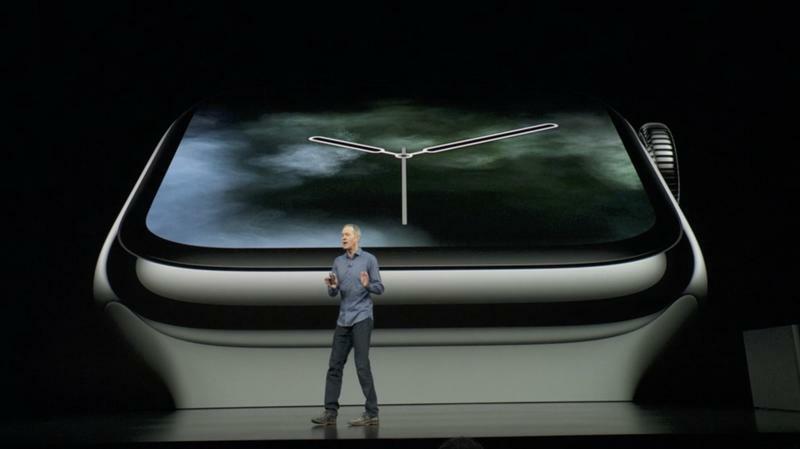 The displays aren’t just rounded, but they’re larger. 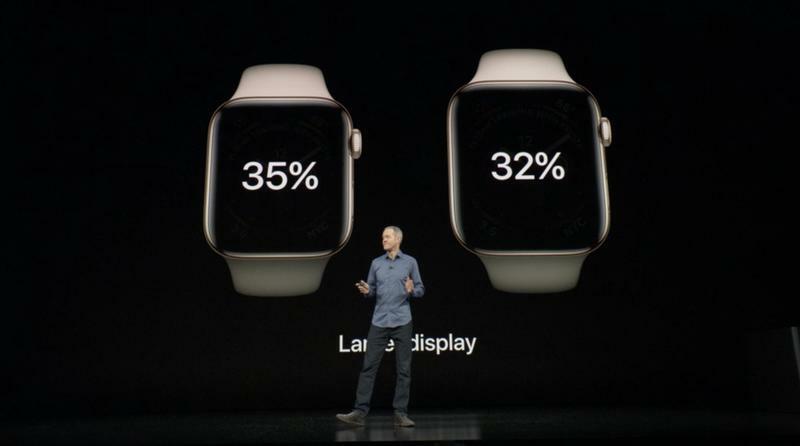 Apple says the screens are 30 percent bigger than existing models. 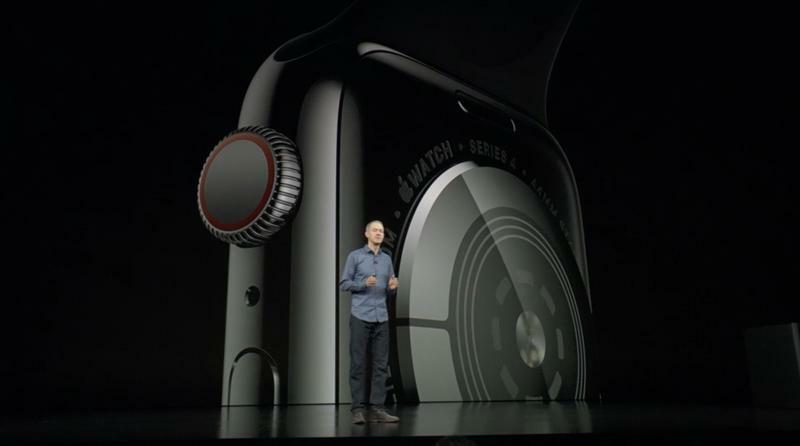 The Series 4 now comes in 40mm and 44mm sizes; I wore the 40mm around the demo area and barely noticed it was on my wrist. 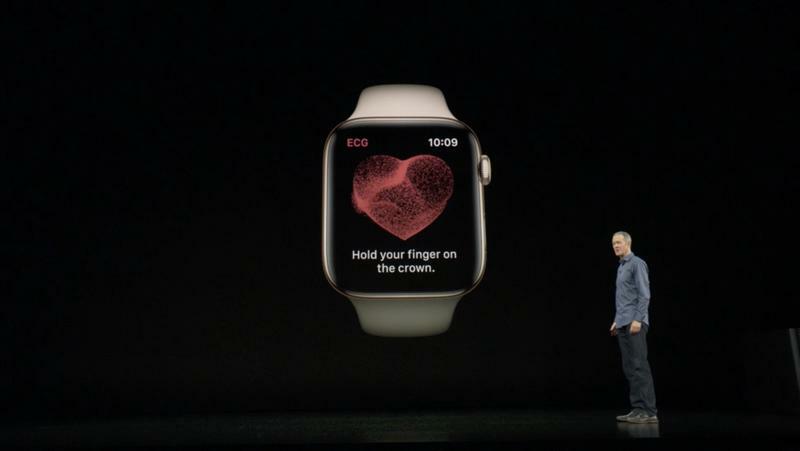 The Series 4 also now features a digital crown that provides users with haptic feedback. 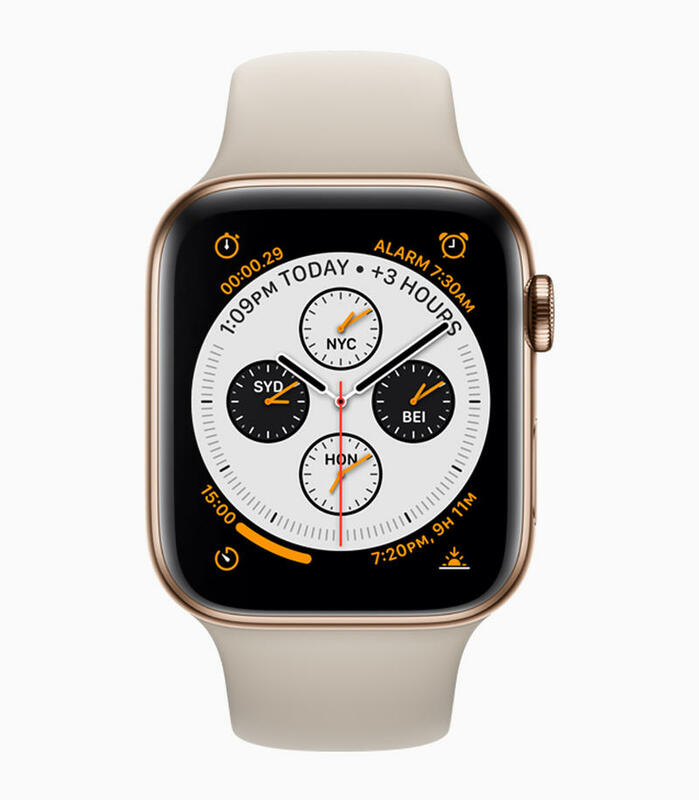 It’s a nice flourish, and provides users with a better connection with the watch while in use. During my brief hands-on, I appreciated using the digital crown to navigate, because there was the sensation of a touch. 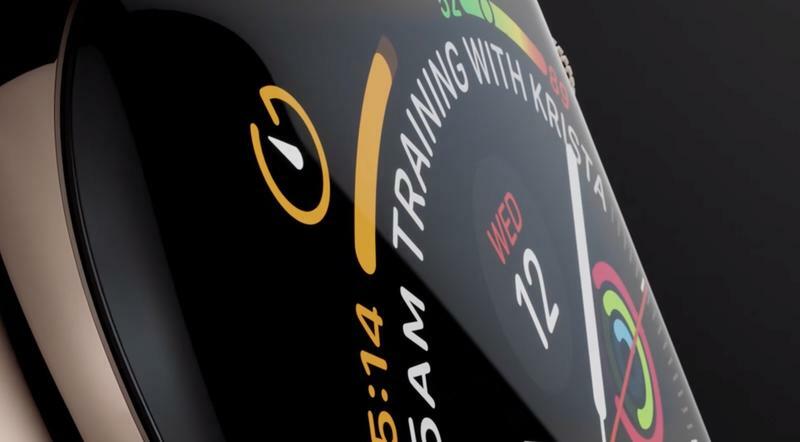 To take advantage of the bigger displays, Apple has introduced different watch faces that support even more complications. 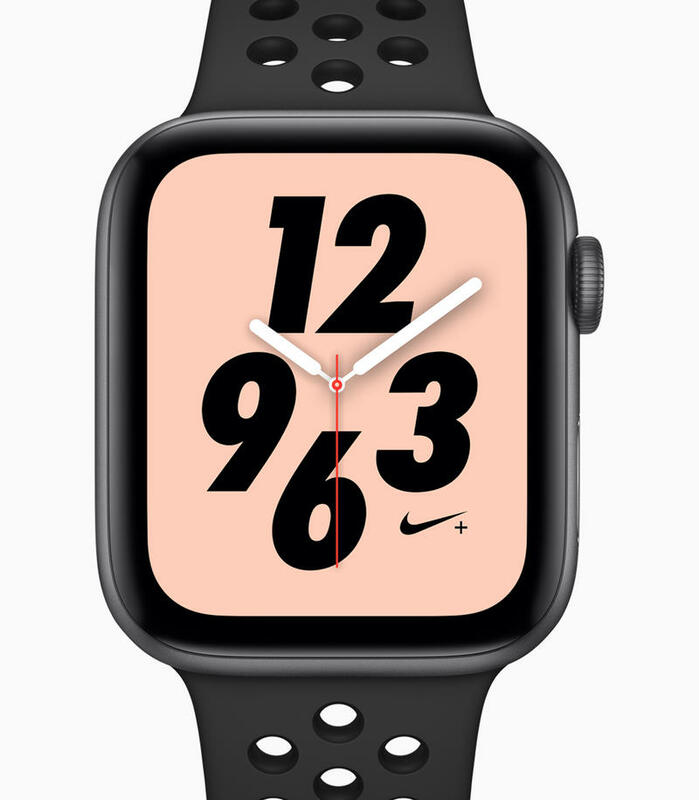 One of which, dubbed infograph watch face, features everything from the time to air quality index to activity and more. I liked the density of information, which goes against my more minimalist tendencies. 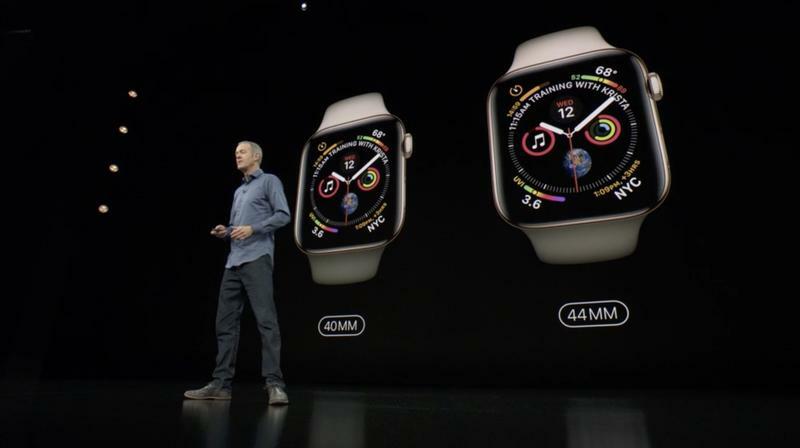 In addition to a tweaked design, Apple made the Series 4 two times faster than previous models. 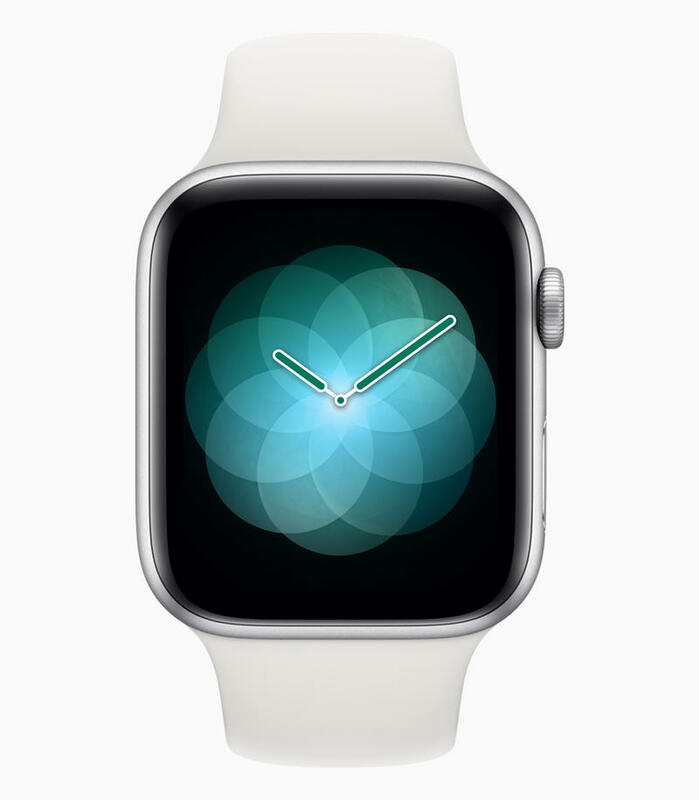 I have never owned an Apple Watch, so I can’t say if what Apple said is true. It was, however, very fast to operate, and apps loaded promptly. 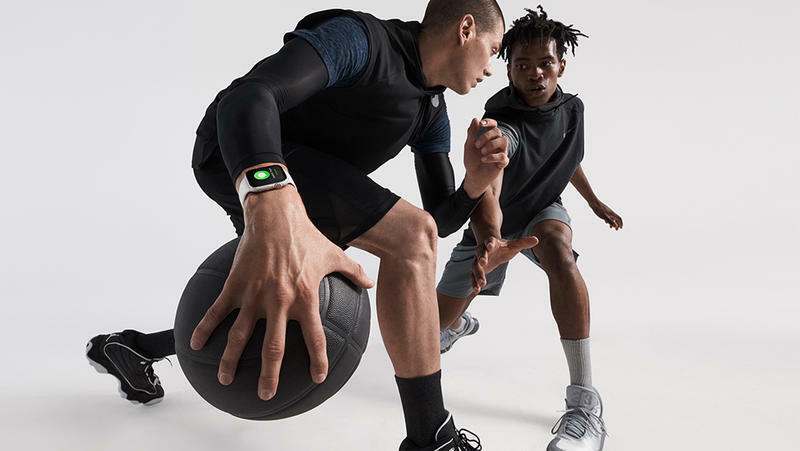 Perhaps the biggest focus of the Series 4 is its emphasis on health—particularly heart health. 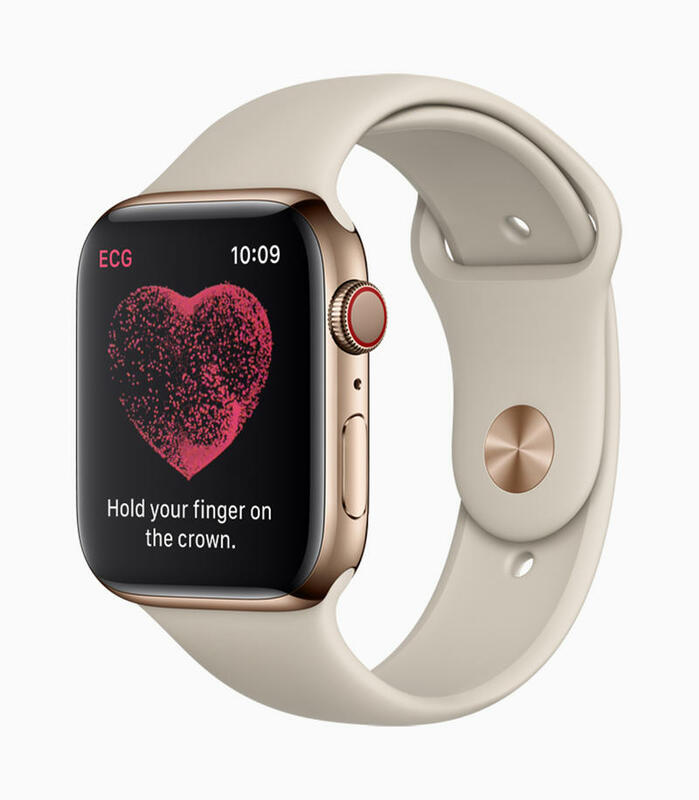 This year, Apple’s wearable features technology for generating an ECG. Apple said the compatible app will launch later this year, so I couldn’t test the feature for myself. I tried asking Apple more about the ECG features, like what would happen in the event of a false positive, but the company’s PR said it would share more information at a later date. 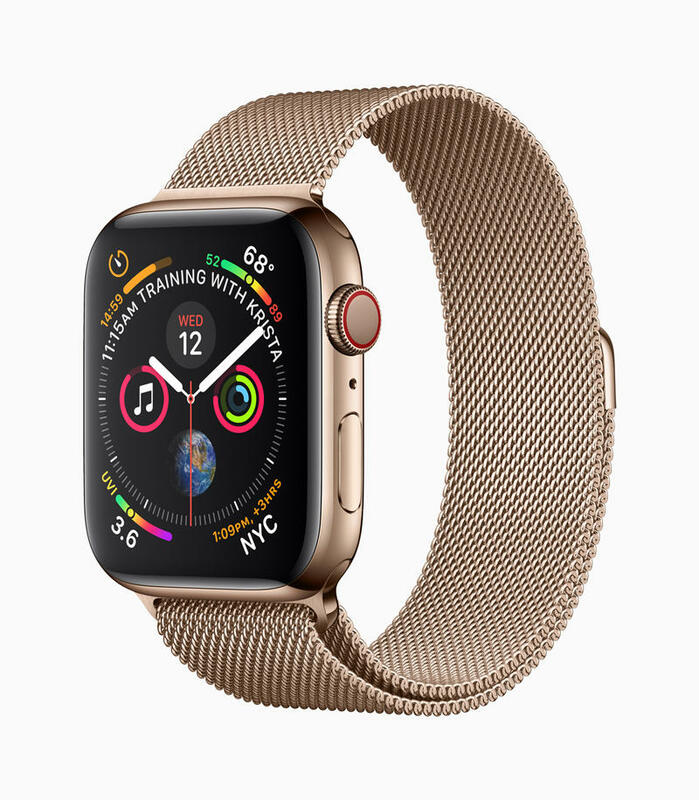 That response doesn’t really put me at ease, though skeptics can rest a little easier knowing the FDA has approved Apple’s watch as a new type of medical device. Another feature I was unable to test was fall detection. 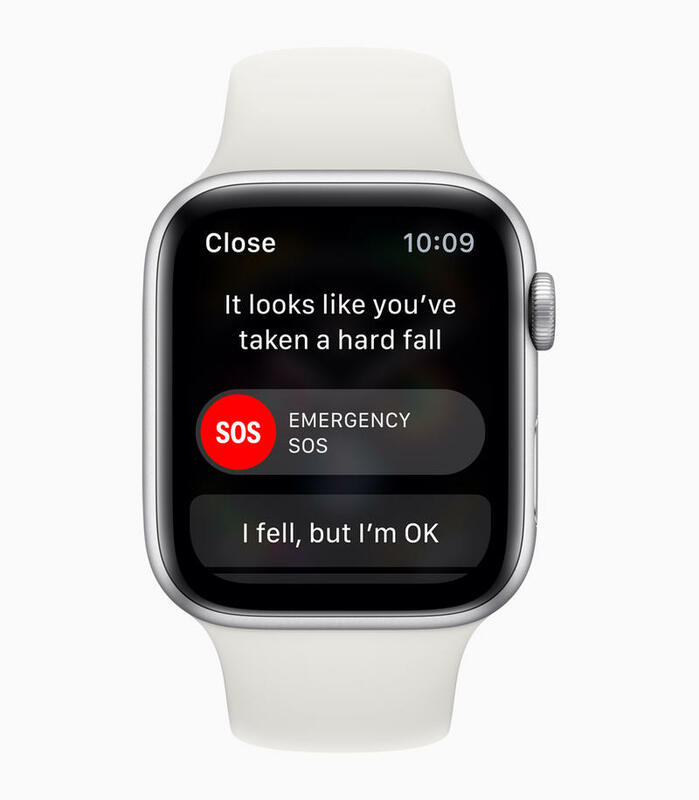 If it works as Apple claims, the Series 4 will detect when a user falls and provide quick access to emergency services. 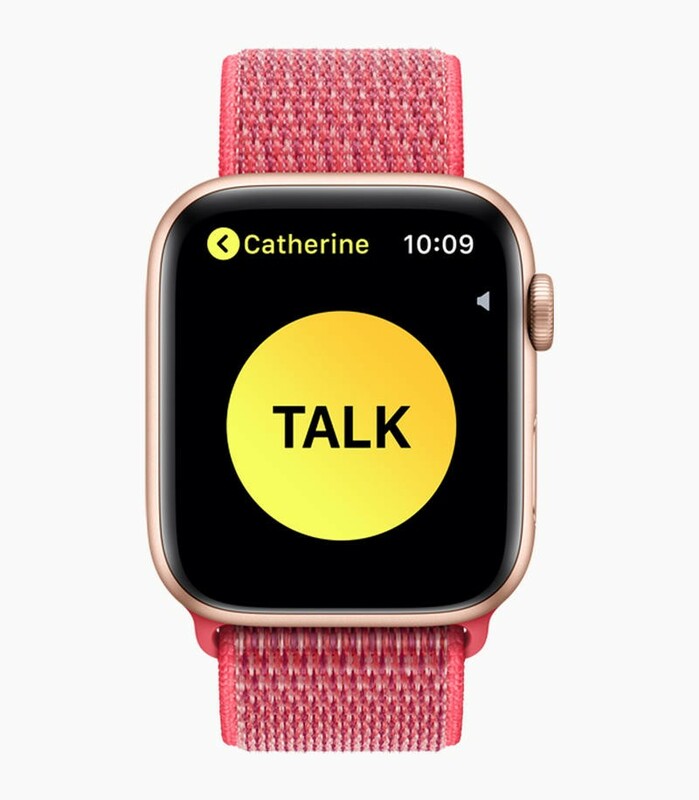 If a user is unresponsive, the Series 4 will know and automatically call emergency services. 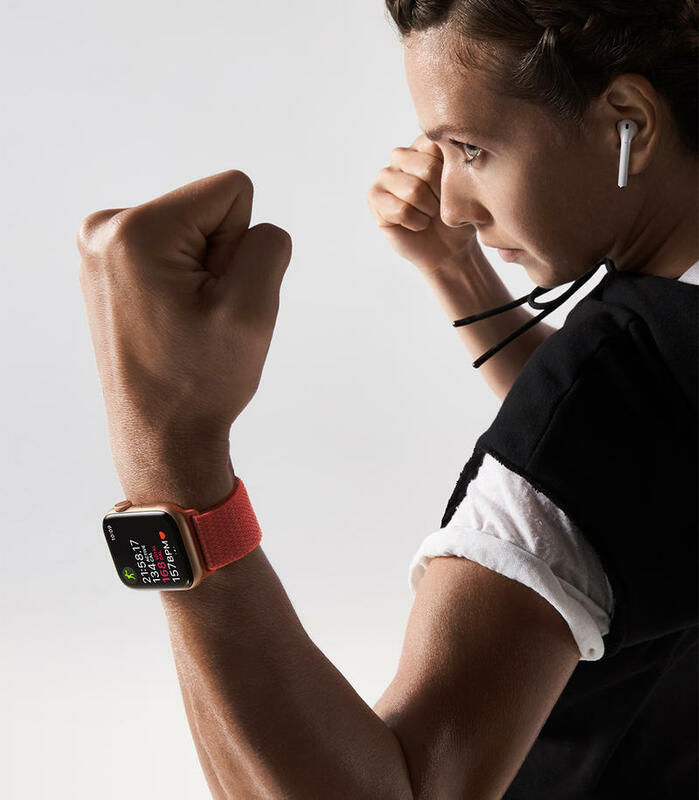 As someone who has never owned an Apple Watch, I’ve been eyeing the device for its health and activity tracking features. With even more emphasis on health, I’m more inclined to check it out when it launches later this month. 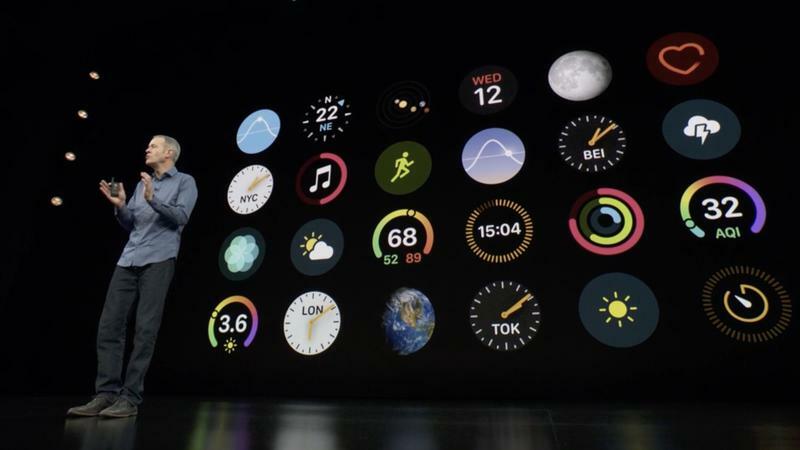 The new Apple Watch made its global debut this afternoon, and there are more improvements than anyone expected. 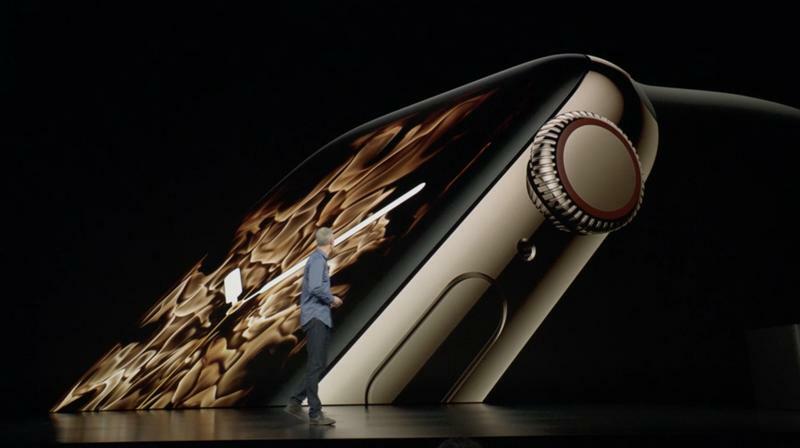 What you’ll discover is that Apple made the display larger but the bezel smaller. That’s accomplished while keeping the overall design on the attractive side. 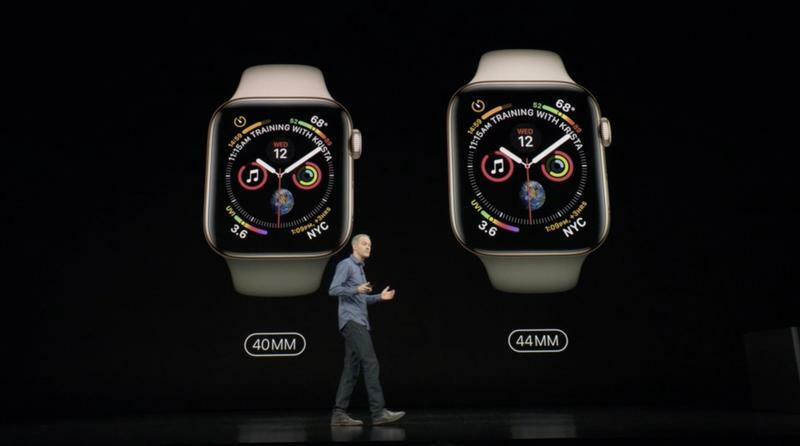 Even so, the Apple Watch Series 4 comes in 40mm and 44mm sizes. 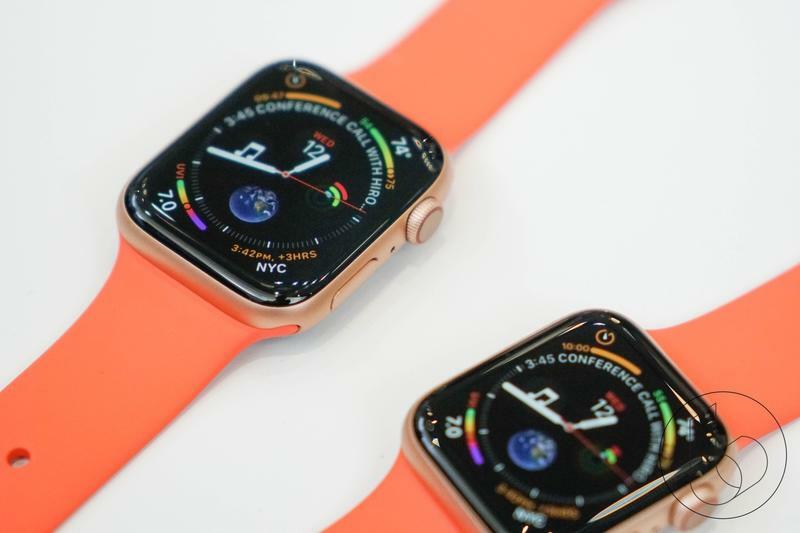 These are bigger than the Apple Watch’s traditional 38mm and 42mm sizes, but it’s the reduced bezel that maintains a compact feel. 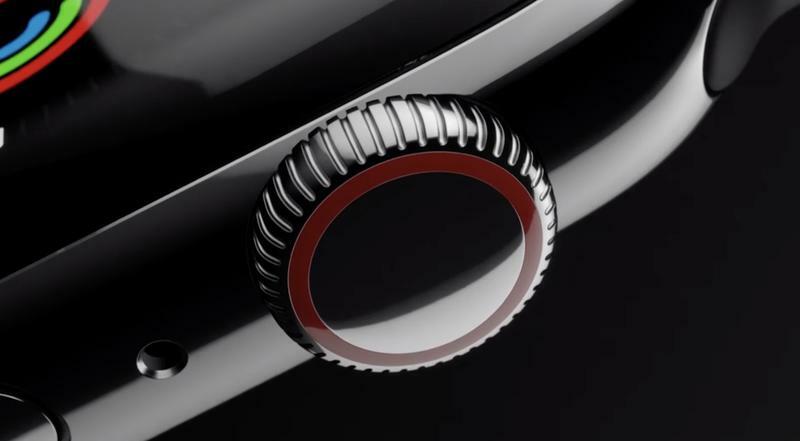 Apple also introduced a new black ceramic and sapphire design that’s not only durable but better for wireless signals to travel. 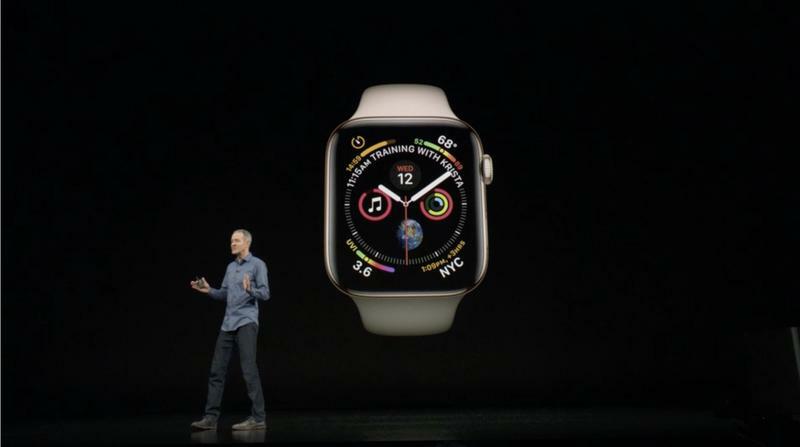 The Apple Watch Series 4 swapped out the physical crowd for a digital crown, too. Rather than being an actual button, it utilizes vibrations for haptic feedback. 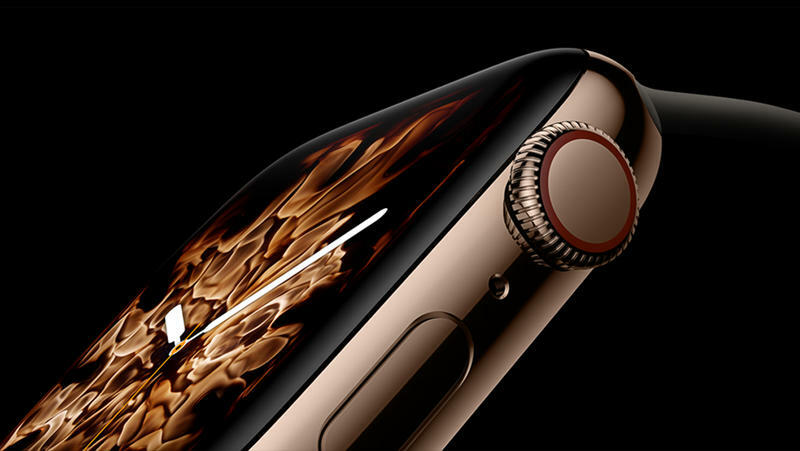 The Apple Watch Series 4 should be up to two times faster than its predecessors. Inside, there’s a dual-core S4 chip based on 64-bit architecture. 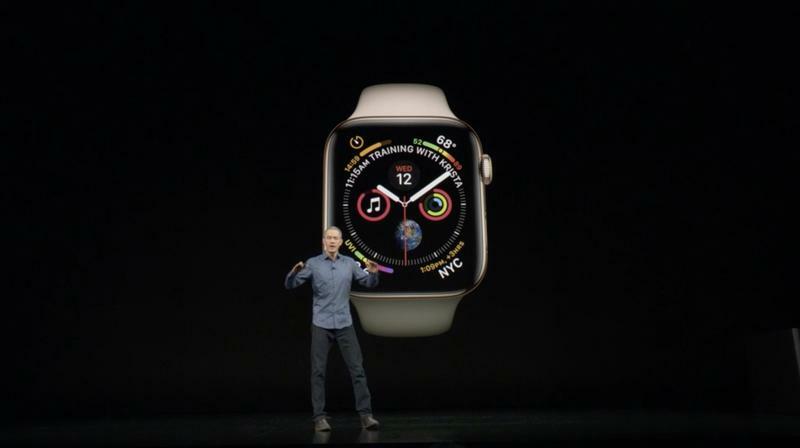 During the launch event, Apple discussed three primary areas for its smartwatch — communication, activity, and health. 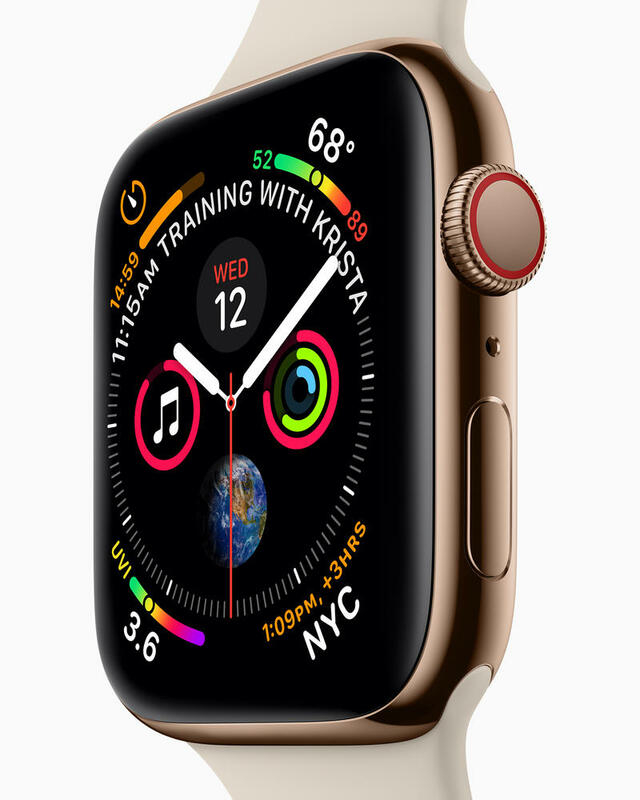 Like previous models, the Apple Watch Series 4 can take advantage of GPS and cellular connectivity. It also has the usual batch of behavior-tracking features. 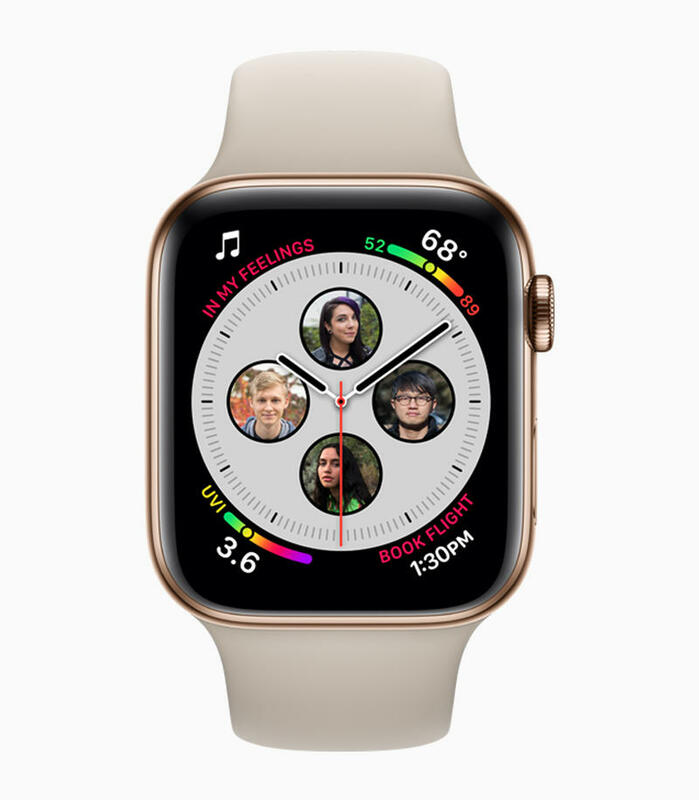 The health-related features are maybe where Apple’s made the most advancements. 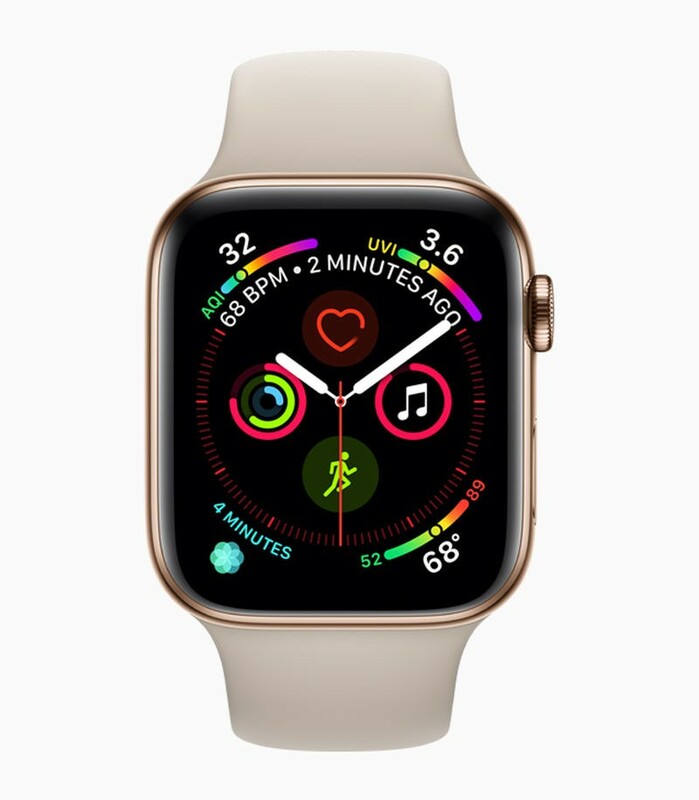 You can still use the heart rate sensor for basic information, but the Apple Watch Series 4 goes deeper by using an FDA-approved electrocardiogram (ECG) sensor. Just place your finger on the digital crown to get rich information. 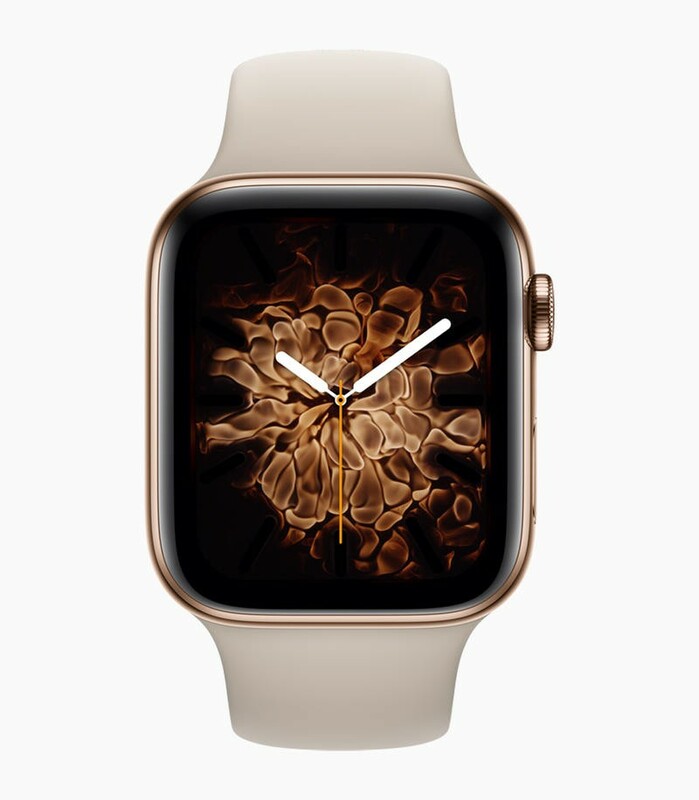 As for other software, the Apple Watch Series 4 ships with watchOS 5 out of the box. 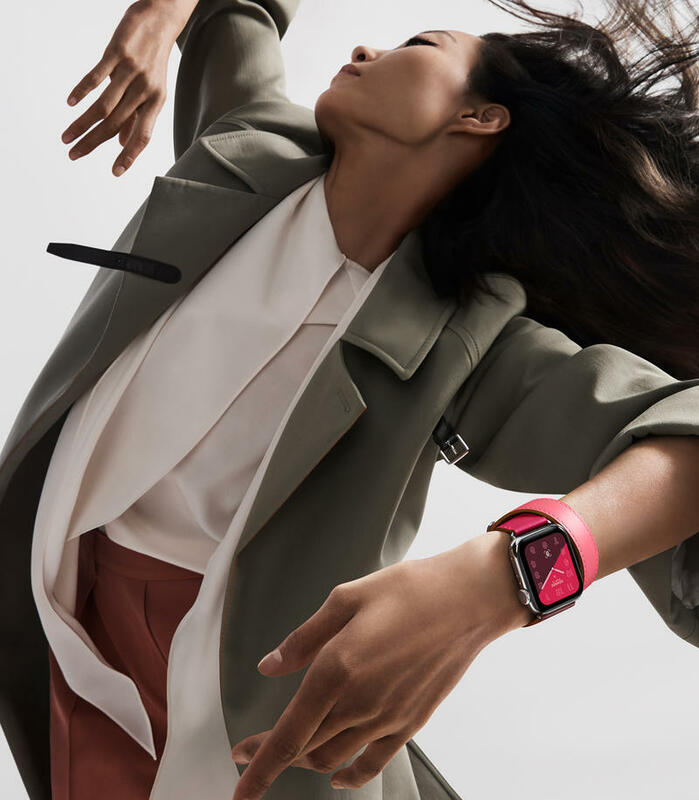 The Apple Watch Series 4 doesn’t skimp on style, either. 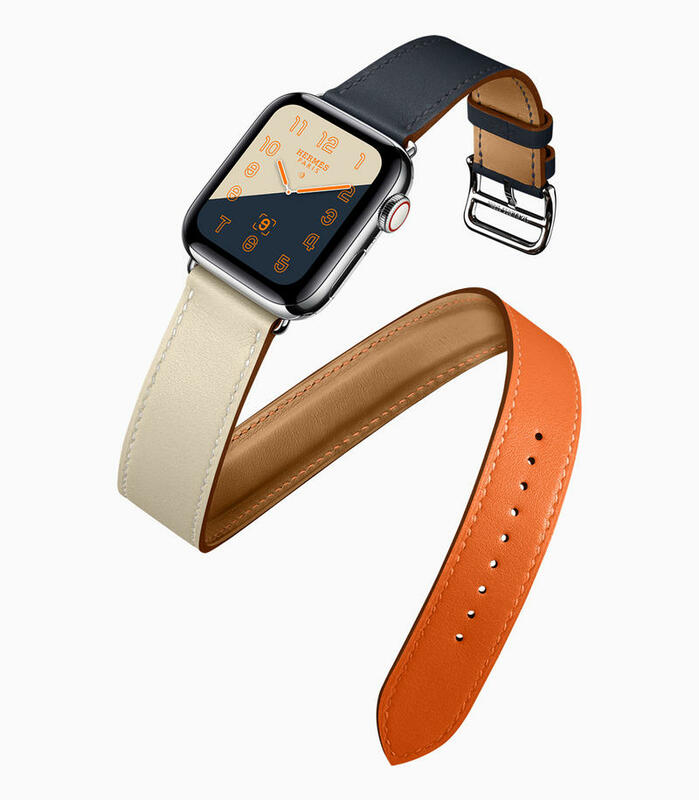 There are three basic colors — Silver, Space Gray, and Gold. 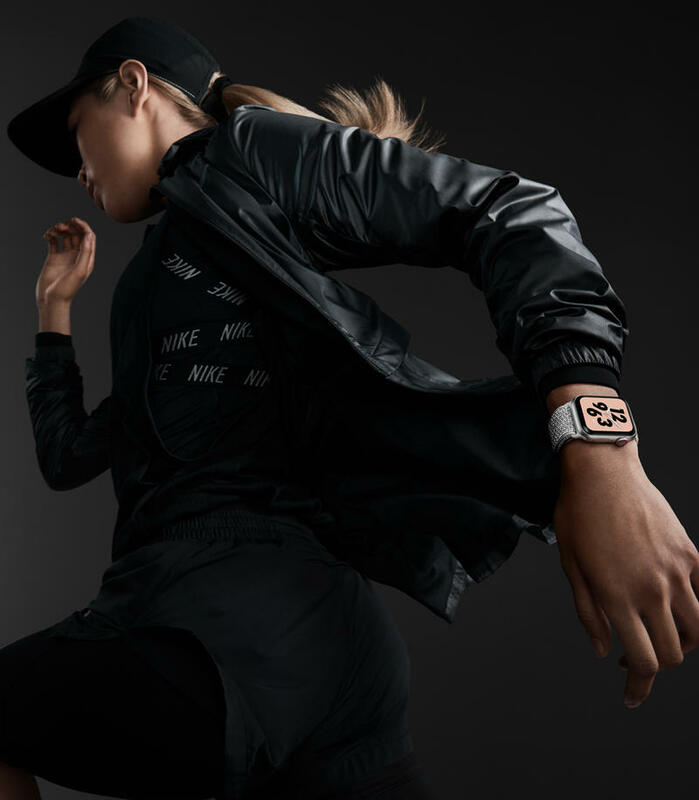 Apple also collaborated with Nike and Hermès for unique bands. 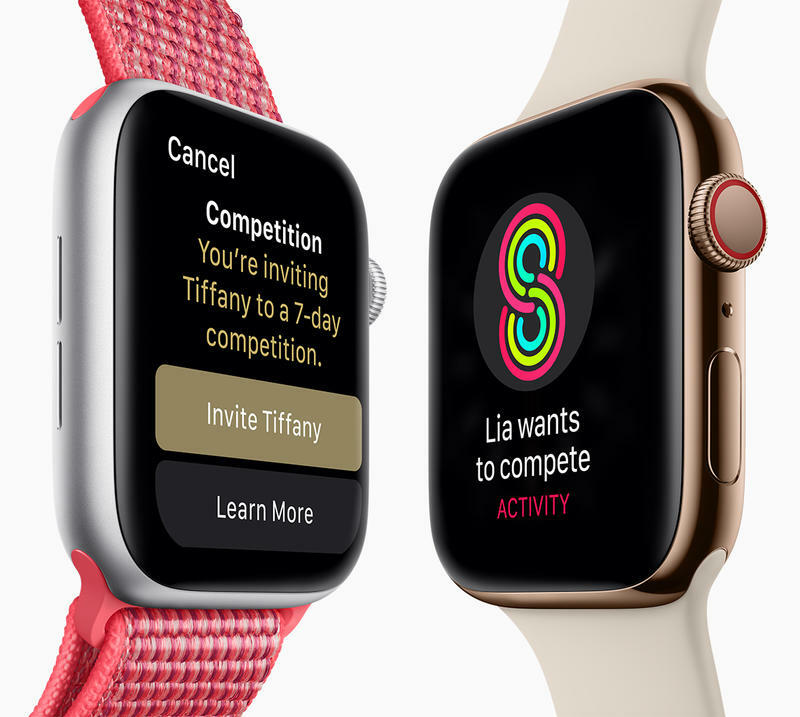 Apple says it’ll release the Apple Watch Series 4 on Friday, September 21. 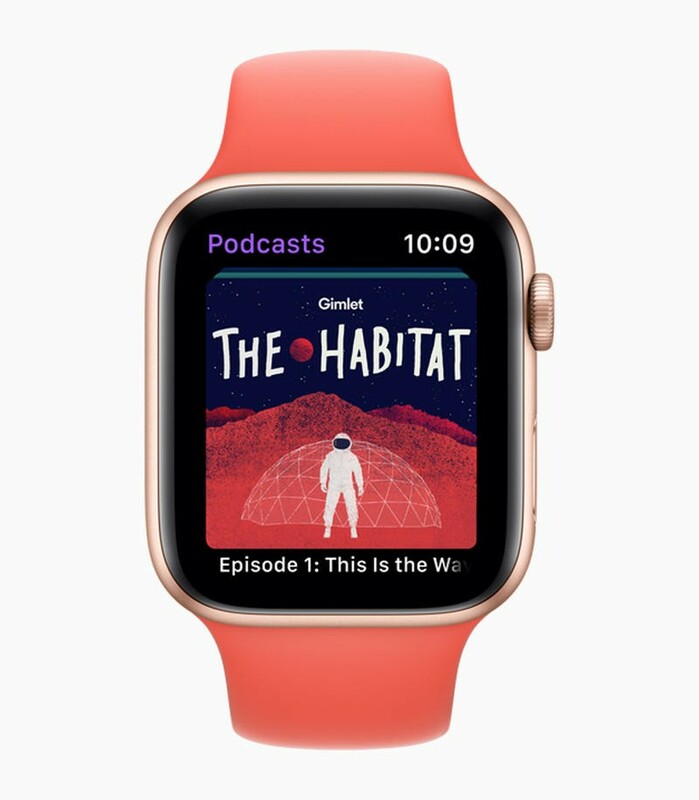 You can pre-order it later this week starting at $399 for GPS and $499 for cellular.